The Orange County group of resorts has made an impeccable name for itself as far as giving its guests a luxury experience that is quite unparallel. So naturally I was quite curious to see what the newest property at Hampi would be like especially as this was being constructed much longer post their award winning properties at Coorg and Kabini. And to say in the least the experience was priceless. 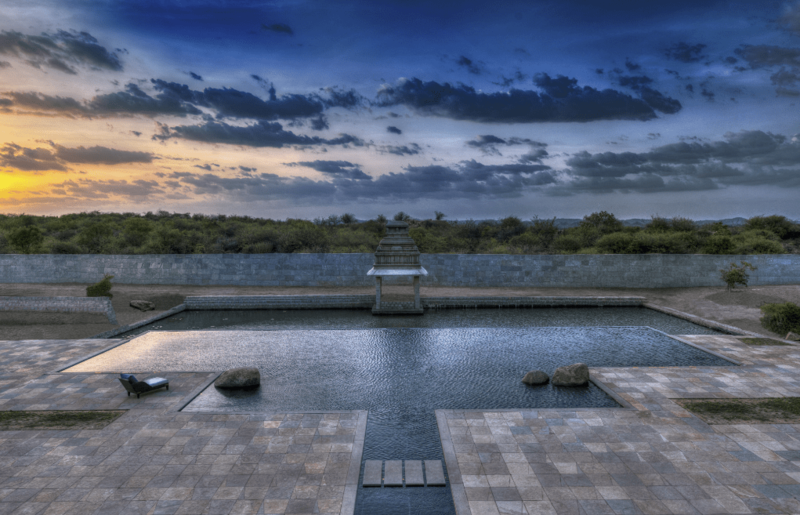 Located close to the World Heritage Site of Hampi, this resort has a palace design inspired by its surroundings. 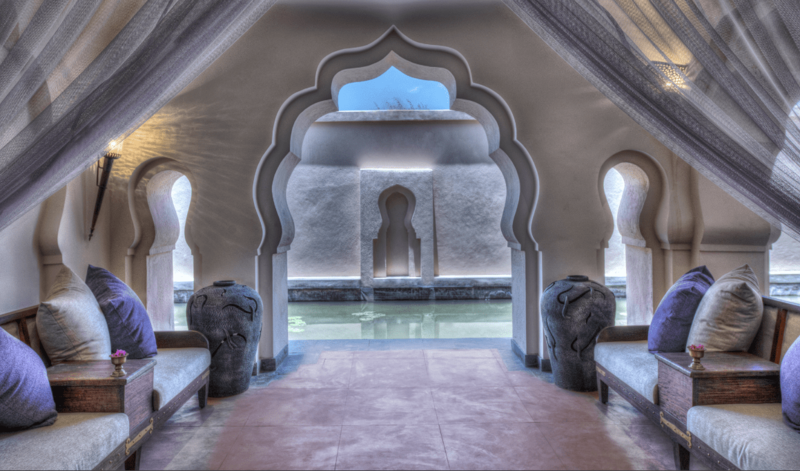 The spa itself is located in a separate section that also houses a restaurant and souvenir shop and is designed based on the famous Lotus Mahal in Hampi. The spa decor is simple and classy and has a quiet elegance that you can feel as soon as you walk inside. The teak wood spa beds are made using the finest Burma teak and have are polished to perfection. The walls have murals depicting Ayurvedic treatments of the past and make for a great addition to the subtle decor. The rooms are large and open to a water body and a huge net runs across the room. All rooms come with attached bathrooms and are airy and calm. The beige, cream and wood interiors are accentuated through brass accessories. 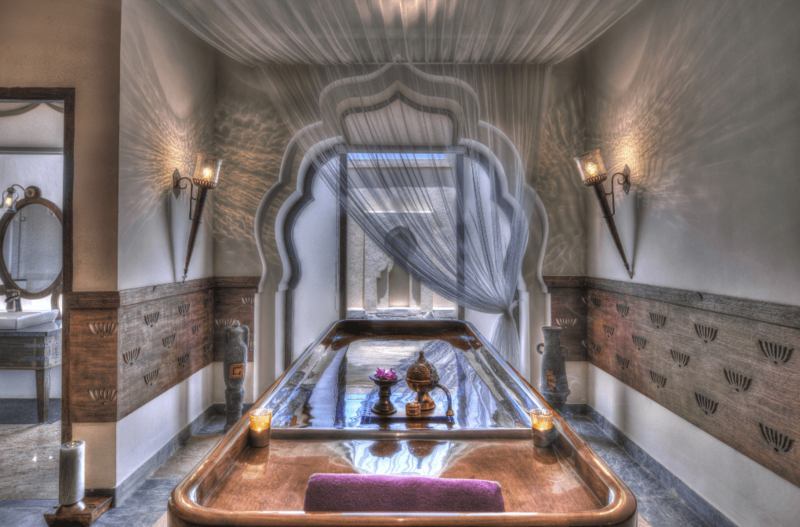 The music played in the spa has mild Carnatic flute notes that add to the tranquillity here. I was advised to try the signature treatment the Abhyanga a whole body massage. The treatment is done by two therapists and mine were Asha and Rashmi who were waiting for me as I scurried in post a long hill climb. Thanking my lucky stars that I had this experiential post a long day, I was asked to first sit and my feet were dipped in warm water that instantly relived my spirits. The treatment begins with a head massage using herbal medicated oil that has been developed in house by the Indus Valley Ayurvedic Center that manages this spa. I was also asked to apply herbal oil with a cotton bud to clean my ears! The detailed massage was just what I needed and after a shoulder and neck massage I am asked to lie on the spa bed and the two therapists massage my entire body in tandem. Using warm herbal oil the treatment stood out for the synchronized movements of both therapist that stood on each side and ensured I was comfortable at all times. After one point I was also asked to turn sideways and my hand and feet were massaged together that was something quite unique. This was also repeated on the other side and the one hour massage ended quite seamlessly. Post the massage I was helped into a wooden casket for steam ensuring that my head was above the same as it is believed in Ayurveda that steam must not reach your hair. After this I had a shower using a herbal shampoo and body wash and once I returned my therapists applied Rasanadhi Churna a powder on my scalp to ensure that I do not catch a cold. I was also handed two tablets called Effortless Caps (Laxveda) that had Triphala and Trivrit and was asked to take them at bed time with a glass of warm water. I was explained this was required as an Ayurvedic body massage results in all toxins gathering in the digestive tract and these needed to be removed to maintain optimum digestive capacity which the tablets would do! In all this was a massage that was great and not as oily as one would normally associate an Abhyanga with. So if you want to get a health boost – check into Vaidyshala for a spa experience like never before. Address: Kamalapura – P.K. Halli Road, Kamalapura, Hospet Taluk, Bellary 583101, Karnataka.